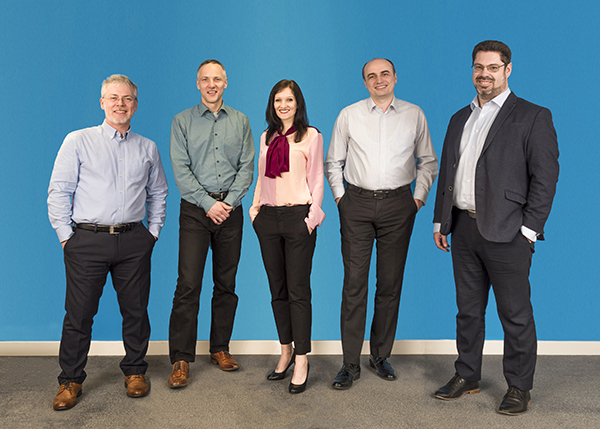 Weybridge, UK, February 6th 2019– Pebble Beach Systems Ltd, a leading automation, content management and integrated channel specialist, today announced the appointment of several new senior executives, including Miroslav Jeras as Chief Technology Officer, Tamas Vass as Chief Marketing Officer, Jim Reid as Chief Operating Officer and Justyna Munnich as Group Financial Controller. Having previously served as Pebble’s Head of Software Architecture, Miroslav Jeras’ new role as CTO gives him overall responsibility for the technology which will underpin the solutions our customers need as they transition from traditional broadcast infrastructures to more flexible IP-based technologies. Miroslav is an active participant in technology working groups focused on the development of new standards, including AMWA, and has most recently been closely involved in the development of the IS-07 standard. He previously served as BroadStream’s Senior Vice President of Research and Development. Following his successful tenure as Pebble’s Vice President of Global Sales, Tamas Vass moves in to the role of Chief Marketing Officer with overall responsibility for strategic marketing and global sales. With degrees in Marketing and Electrical Engineering and over two decades’ experience in the broadcast industry—having held key account, partner management and strategic marketing roles at resellers and vendors including Vitec Videocom, Amberfin, Harris and Leitch— Tamas brings the customer and market perspectives to the company’s strategic planning process as the industry transforms. With over 30 years’ experience in business management and administration, Jim Reid has taken on the role of Chief Operating Officer. Since joining Pebble last year, he has overseen the creation of both the Customer Fulfilment and Solutions Architecture teams, with the overall goal of continuously improving customers’ journey from initial engagement through to ongoing support. Jim has over two decades’ experience as a consultant working with a variety of companies helping with strategic positioning, turnaround strategies and cultural change. Justyna Munnich is an experienced finance professional with a proven track record of driving business performance through business partnering and insightful financial analysis and reporting. Before Joining Pebble, Justyna held a senior finance role at Walgreens Boots Alliance. “These appointments demonstrate the depth of talent within the Pebble Beach Systems organisation, with Miroslav, Tamas and Jim having been part of the management team which was responsible for the improvements made throughout 2018 resulting in significant improvements in the company’s profitability. Thanks to this team, the talent of our employees worldwide, and our new corporate structure, we are ideally placed to continue to serve our extensive customer base whilst working on solutions that will see our customers through this period of transition, and help them embrace the latest technologies and workflow opportunities ahead,” said Peter Mayhead, CEO at Pebble Beach Systems.